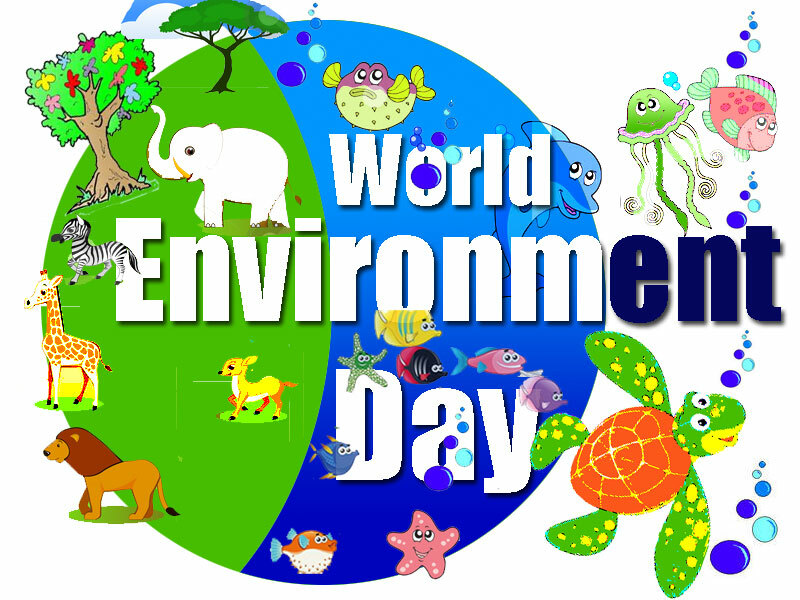 Today, June 5th is celebrated as the World Environment Day (WED). It was established in the year 1972 & first celebrated in 1973. WED attempts to raise awareness about the environment and also to encourage everyone to take steps to protect Planet Earth. The 2014 theme for World Environment Day focuses on 'Small Islands and Climate Change'. We all are the inhabitants of our Blue Planet that unfortunately is feeling blue with the harmful effects of industrialisation and our selfish interests. Human-beings have been responsible for the severe climatic changes that have been witnessed in the past couple of years. Days like today make us introspect- Are we really friends of Planet Earth? 1. Do you make an attempt to save electricity? Like switching off lights and fans and other devices and gadgets when they are not in use? 2. Do you take the stairs instead of the elevator, at least sometimes? 3. If you have an RO-Water-Purifier that dispels a major part of 'waste-water', do you conserve the same water in buckets and reuse it for purposes like watering plants, mopping floors etc? 4. Do you carry your own cloth bags (to carry vegetables, fruits, grocery etc) and tiffin-boxes (to get non-veg items like fish, meat etc or packed food) when you go shopping to the local or super-markets & refuse plastic-bags? 5. Do you believe in the 3Rs- Reduce, Recycle & Reuse? 6. Do you walk down, use car-pool or public-transport instead of taking your private vehicle? Let us be and encourage everyone to be saviors of Planet Earth everyday and not just on days like April 22nd (Earth Day) & June 5th (World Environment Day). Another( saying as a student), people should try using pens that can be refilled rather than the use-and-throw ones,save paper by documenting stuff such as notes,etc in their laptops etc. And Anita, thanks for reminding. I know many people who yet don't take environmental issues seriously. Yes, we can do a lot to help. Do hope everyone realizes and does soon. You are awesome! I love the diverse topics you write about! This is great, Anita! I too wrote on WED today :) A my kind of post, of course! We are not good to planet earth .. no wonder so much is going on and nature is sort of turning its back towards us the mankind.. True Bikram. Every action has an equal & opposite reaction. Very apt post fr today. No one cares abt environment as most of us r pulled deeply into consumerist culture, than following the age-old recycling habits of our Indian culture. Thanks for reading & sharing. Composting is a great idea. Except the elevator and car thing, I try to do everything. People laugh when I carry my own bag for shopping. I should be laughing at them actually for being so silly! Usage of elevator & car can be skipped sometimes to help conserve electricity & fuel. Great Isaac! Nice to know. Yes, every act counts. A great list and feels good that I do my little bit! Thank you for sharing all this great information with your readers! Thanks a lot Parul :) May we all do our bit! Thanks Poonam for stopping by! Nice to have you after a long time! Very timely post with important reminders...Great post. Thanks a lot Jayanta :) Glad you liked it! A good list of things that we can do. Another thing that we could do is to segregate wastes and use the biodegradable waste for composting. I too have written a poem on WED.
That's a relevant point, Reema. Segregating wastes can be helpful. Those are questions that we need to remind ourselves each and every moment of our lives. An apt post for the day, Anita. Planet earth is in dire need of our care and attention, let's hope we all can contribute towards keeping it hale and healthy. Very true, Arti. We must help our planet in whichever ways we can as everything counts.